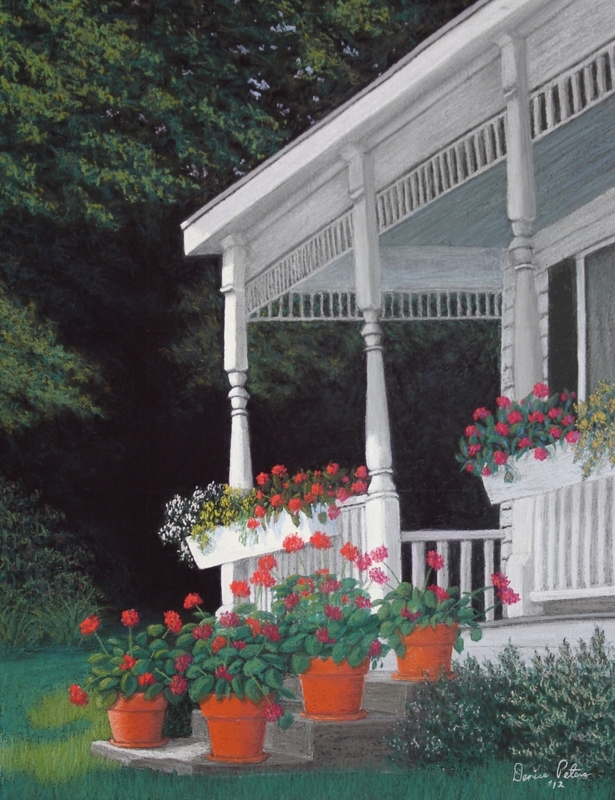 This is a welcoming warm and inviting porch scene I just had to paint. I saw this porch in a little town not far away and asked permission to paint it. It would be nice being welcomed home by this scene. It is 14" x 18" on a sanded pastel paper. This painting is a different subject for me and has a lot of details to it, so it took quite some time. I drew it out free hand and the painted it top to bottom. I wanted the back ground to be a stark contrast to the white house and the colorful flowers. I wanted them to just pop! Hope you enjoy it. 11.75" x 9"16.875" x 13"22.125" x 17"27.25" x 21"